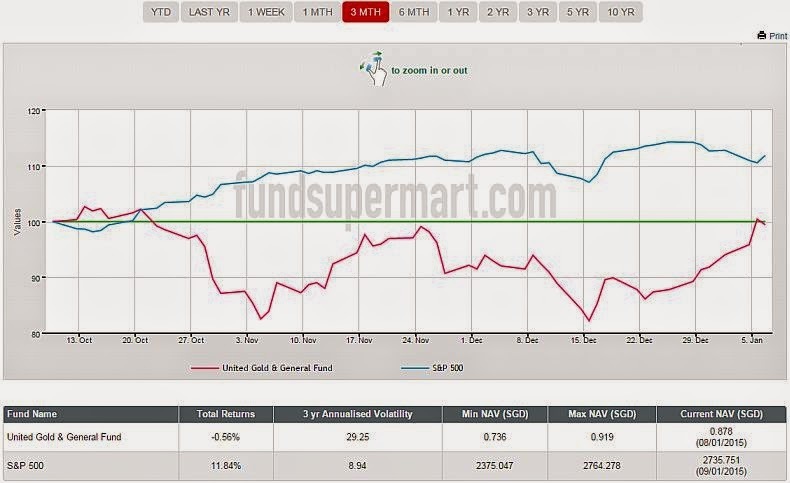 Gold is trading near its 3 months high and even trying to take out the high on 9 Dec 2014 of USD 1,239.00. Meanwhile, the stock of gold mining companies continued with their rally in the past few days, showing some underlying strength despite the volatility seen in general stock market index. On a 5 year basis, the spread between fund investing in gold mining companies and one of the major stock index, such as S&P 500, are at its widest range. However in the 6 months and 3 months chart, we can see the spread are narrowing. 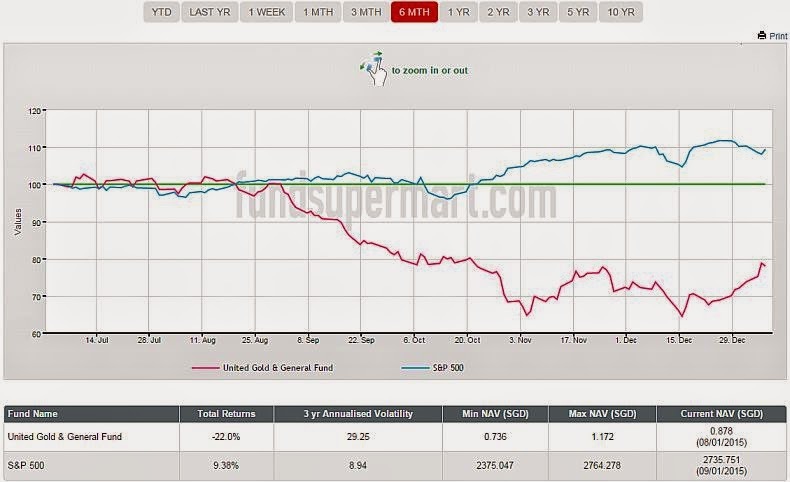 As the stock index started to turn down, the gold fund started to turn up. 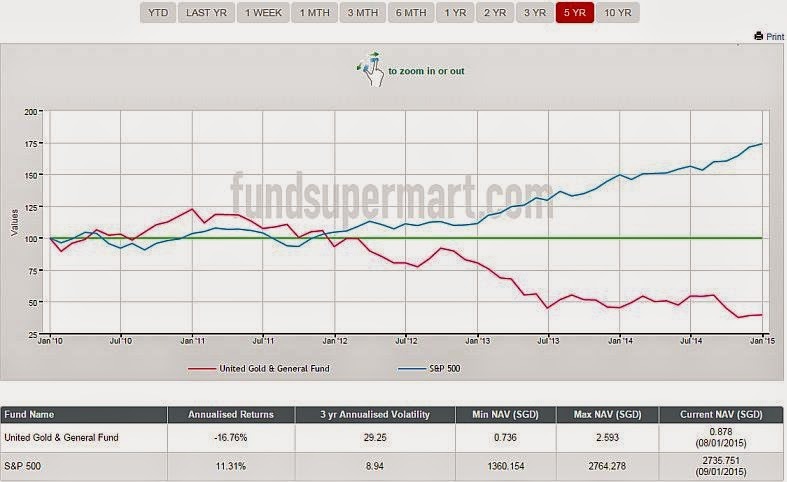 United Gold and General fund in my portfolio has turned from -3.77% to +9.22% as of today. I think there will be more upside in the near term, and I'll be looking to take some profit gradually as the price rises.